Amberwood Sanctuary:: Are We Really Online? I have been contemplating putting Amberwood Sanctuary online for years, but there was always too much to do, and it certainly seemed such a daunting task. And it has been--for me. Finally, I have jumped in, and I'm almost sure that I'm drowning. When Amberwood Sanctuary cofounder Bill Watson (my husband, partner, best friend) died in 2003, it became a one-woman show to carry on with our dream to provide a permanent home for some of the wild burros who have been captured and removed from their rightful and historic home on public lands. And it has been tough. Mostly, all I seem to get done on a daily basis is to physically care for the donkeys (also three dogs, two cats, two chickens, two rabbits, a pig, and until she recently died, Lily, a lamb, all who have come our way in need of a home). There is little remaining time for tending to my home and property or me. It's been very difficult locating volunteers for hands-on help; even hiring someone to do farm chores has been next to impossible. Hopefully, through this internet connection, I can find others who love and care about these remarkable creatures and are interested in helping me care for them while also moving Amberwood Sanctuary forward in its stated purpose. Above and beyond our primary responsibility to care for the animals living at Amberwood Sanctuary, a top priority is our commitment for involvment in all areas of concern for all donkeys worldwide through direct action, education, and legislative issues. In our own country, we must take all possible steps to stop the erosion of the intent of the Wild, Free-Roaming Horses and Burros Act. We intend to keep fighting for the wild ones to remain on public land as free individuals without our government's constant intrusion. In fact, work must take place to strengthen the true voice of the bill. Internationally, the plight of the working donkey is heartbreaking (as well as that of the people they work for). These mostly forgotten animals deserve whatever help we can give them. Please help us help the donkeys! Just as with snakes and rats and insects, they have been given a bum rap: The most widely held conception of them is that they are stupid and/or stubborn, when, in fact, they are very intelligent. Other than "fight or flight" reactions, they generally stop to think about the situation before deciding on a course of action. 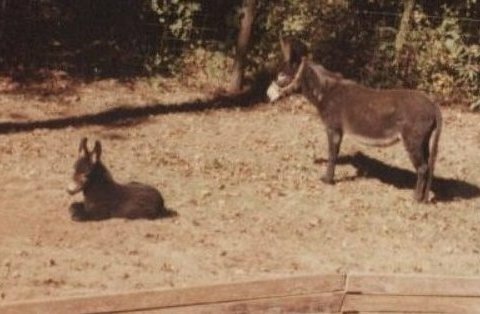 When I made the decision to adopt a wild burro and began to educate myself about them, one of the first and best adages I learned was "We think they're stubborn; they think they're cautious." We are reaching out to you to ask you to join us in our efforts to right the wrongs that humans are inflicting on this oppressed race. 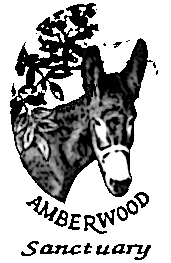 In future posts, we intend to share with you information on the working donkey, the latest developments in the Wild, Free-Roaming Horses and Burros Act, the donkey's heritage, stories and poems about donkeys, and anything relating to this singular animal. And, don't be surprised if you find hot topic articles about other species from time to time.